This outfit feels like a great summer to fall transition outft. Of course it’s basically a summer look, but the more traditionally fall color palette give them a nice pre-fall feel, right? I picked up this cute little blouse from Shein. I couldn’t resist those cool bell sleeves and I loved the tropical print. 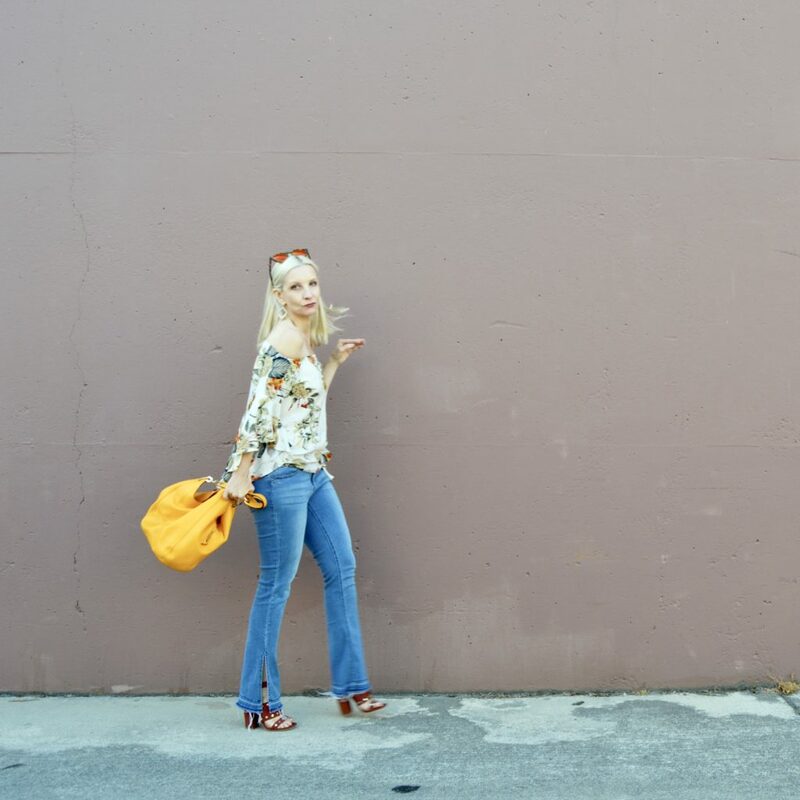 I’m wearing these flattering Wit & Widsom jeans, one of my Nordstrom Anniversarsy Sale finds. A hidden tummy control panel keeps the stomach flat and the flared slit hem shows off cute shoes! These adorable Steve Madden sandals are on sale at Macy’s right now. Scoop them up! 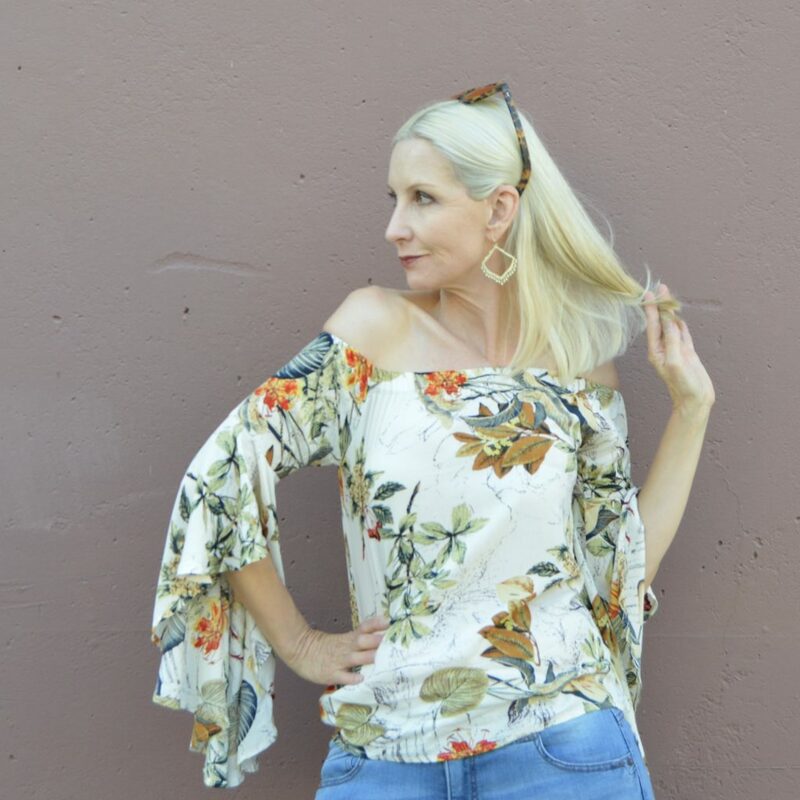 My fav look from last week’s link up is the totally fabulous Monika of Style is My Pudding!Come on now… wouldn’t we look groovy hanging out together? We were just talking about the gold & avocado appliances!! How funny you said this! 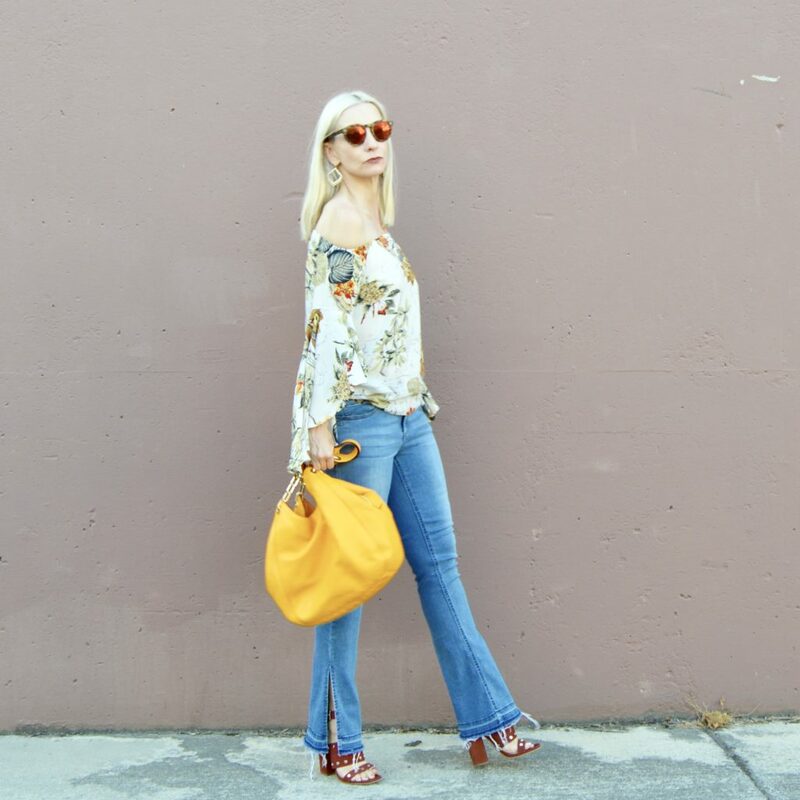 This burst of color and 70’s vibe has me smiling! So get this, I got those jeans at the anniversary sale and neither my kids and my husband like them. So back they went. . But I made sure to get a photo shoot with them first before I sent them back, ha ha! I hope you have a beautiful weekend, beautiful lady! I love the vibe of this outfit! 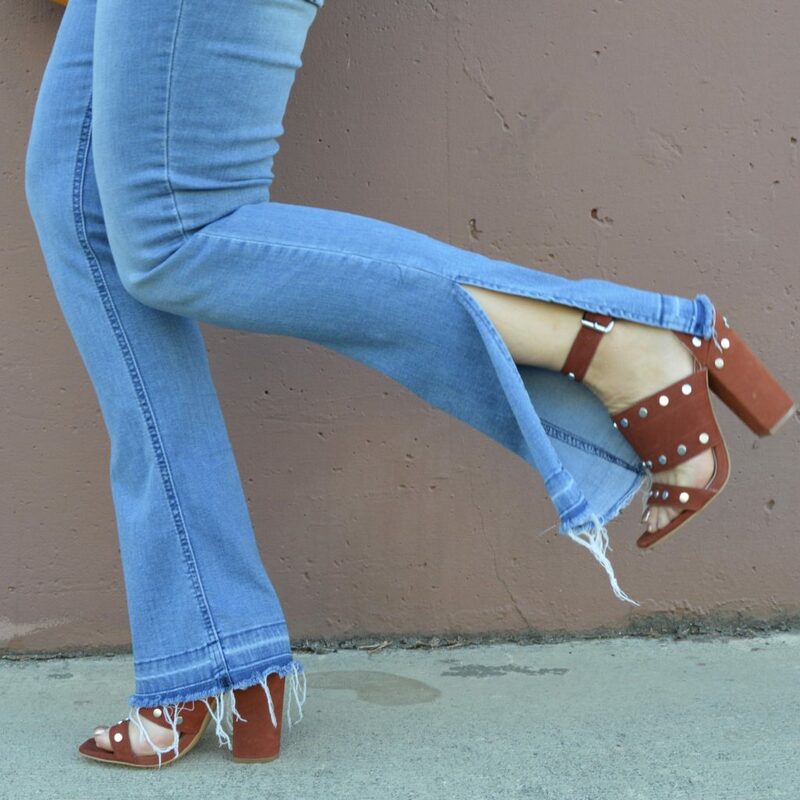 The top, those jeans, the great shoes – love, love, love! It’s almost scary to remember these colours! I’m looking forward to embracing these new colours for the Autumn. Oh and your sandals are so yummy, I’ll be looking for similar on my next shopping trip. Fabulous! So fresh and fun for Fall. Have a lovely holiday weekend and thanks for the link up. Such a groovy outfit! You look fabulous!!! Have a wonderful, long weekend! Oh, I love everything about this one here!!! So fun and vibrant!! 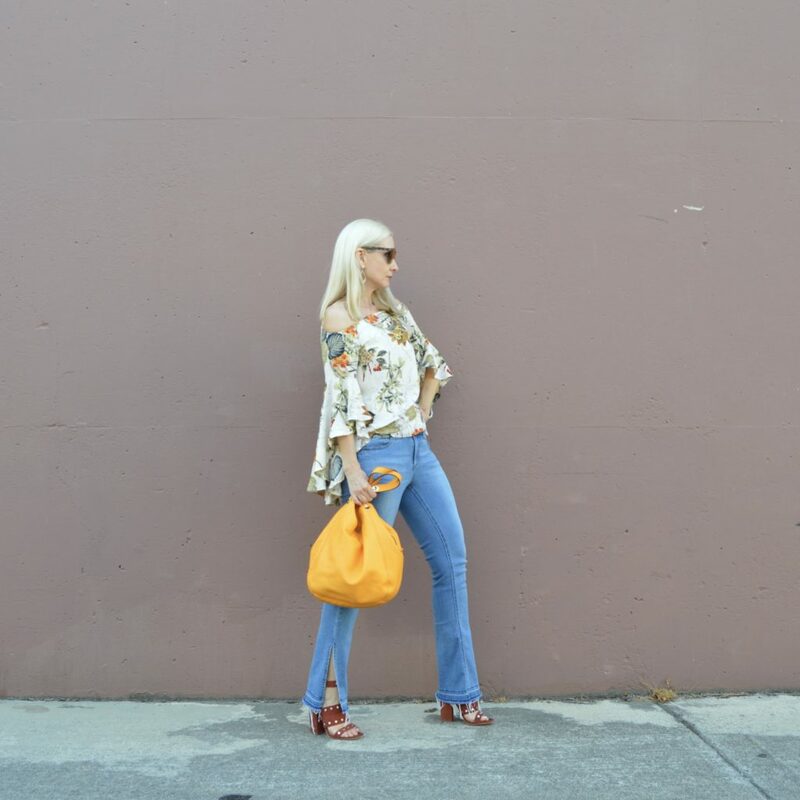 Love this modern take on the 70s! Also, that blouse is gorgeous! Thanks for hosting and enjoy the long weekend! You always wear jeans very well! Have a great weekend! I love this 70’s inspired look! Those jeans look amazing on you! What a cute top from Shein! Love those sleeves. Thanks so much for the link up! You always look so great in that 70’s vibe, Dawn Lucy! The top is gorgeous and those jeans are to die for! I also love all those 70’s colors and am very frequently drawn to them. This is such a great look in these beautiful Fall hues! I love this 70’s vibe! I am already seeing a denim DIY in my future too! Love the colors, love the retro vibe, love the shoes! This is so cute- LOVE!! Love the outfit! Those shoes are a gorgeous color and love the style of the jeans on you. I love that top, and the jeans are to die for!! I love the slit to show off your shoes! I need to up my jean game for sure! Love everything about this look. I’m actually wearing a very similar pair of distressed jeans from WHBM today that I love. I absolutely love your fall color palette with your bag and shoes! Have a fab Labor Day weekend! Thanks for the link-up! 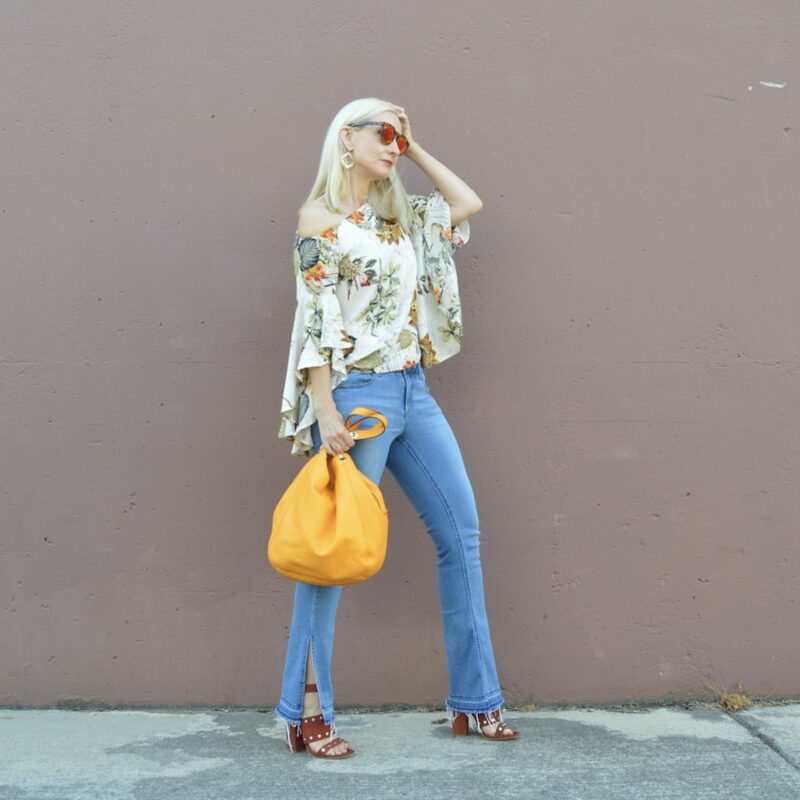 When I think of the 70s your outfits come to mind because they are totally your style. Pretty blouse and I love your jeans. I own a couple of pairs of Wit+Wisdom jeans and I love them! Welcome by and join my newest Thursday Moda linkup this week, Dawn Lucy! 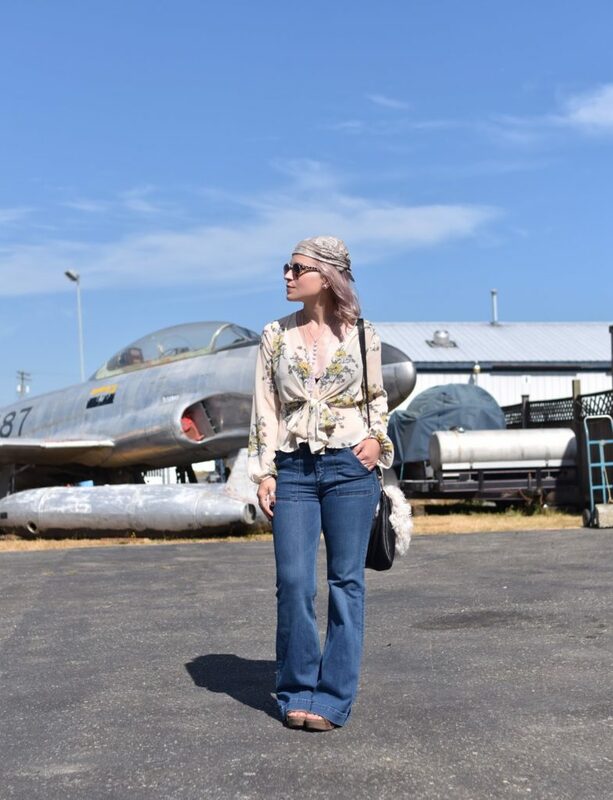 You pull off the 70’s vibe so well! I wasn’t a big fan of this trend at first but it’s grown on me. I love the 70s vibe of this outfit! Such a pretty top and the bright bag is fab!